LONDON (Reuters) – Top scorer Mohamed Salah could find the oldest player in the Premier League standing in his way when free-flowing leaders Liverpool host Crystal Palace at Anfield tomorrow. The visitors may have to draft in 39-year-old Argentine reserve goalkeeper Julian Speroni, who last appeared for them at the end of 2017, after injuries to those above him in the pecking order. Vicente Guaita picked up a calf injury in a home defeat to Watford last Saturday and media reports have indicated Wales goalkeeper Wayne Hennessey, the Spaniard’s replacement, is also a fitness doubt. Speroni, who has been at the south London club for more than a decade and turns 40 in May, is manager Roy Hodgson’s next in line. Just how much he or Hodgson, a former Liverpool manager, can do to deny the likes of Salah and Roberto Firmino at fortress Anfield remains to be seen. The Reds are on a 31-game unbeaten league home run and victory tomorrow will send Juergen Klopp’s side, at least temporarily, seven points clear of defending champions Manchester City. The game is Liverpool’s first home match of 2019 and Salah, the league’s joint top scorer on 14 with Tottenham Hotspur’s Harry Kane and Arsenal’s Pierre-Emerick Aubameyang, will be eager to add to his tally. 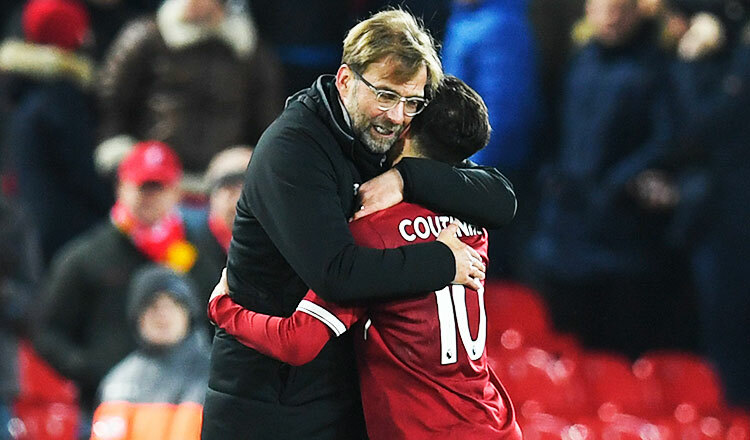 Despite that, Klopp will be taking little for granted against a side whose return to Anfield always has the potential to turn into a nightmare. Palace remain the last team to beat the Reds at home in the league, a 2-1 victory in April 2017 that saw Christian Benteke torment his former club with goals in each half after Liverpool had taken the lead. The Eagles, 14th in the table and only four points above the drop zone, have been better away than at home of late and stunned Manchester City 3-2 at the Etihad in December. They also dampened Steven Gerrard’s Anfield farewell with a 3-1 win in 2015, and the trip north seems to bring out the best in them. Palace also have Belgian international Benteke coming back from injury. Klopp’s side are still the overwhelming favourites, having conceded only three league goals at home all season. Second-placed Manchester City travel to relegation favourites Huddersfield Town on Sunday in what should be a one-sided affair for Pep Guardiola’s side. Huddersfield, bottom of the table, will be under the guidance of interim coach Mark Hudson after parting company with David Wagner on Monday. Kane will be absent from Tottenham’s trip to London rivals Fulham on Sunday with the England striker set to be out until March after suffering an ankle injury. Spurs have also lost Son Heung-min to Asian Cup duty. “We know what it means to have Harry Kane fit and available to play and help the team to win, but we have a squad and (his absence) can’t be an excuse,” said manager Mauricio Pochettino. Fourth-placed Chelsea visit fifth-placed Arsenal, knowing that a draw could play into Manchester United’s hands. On-form United are level on points with Arsenal, but behind on goal difference. They host Brighton & Hove Albion in a match that can stretch caretaker manager Ole Gunnar Solskjaer’s perfect record to seven wins out of seven games since the Norwegian replaced the sacked Jose Mourinho at United. In other matches, a revived Southampton (16th) host Everton (10th) while West Ham United (ninth) travel to Bournemouth (12th) further along the South Coast.